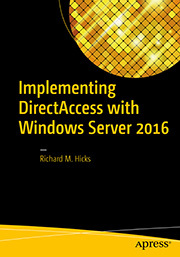 DirectAccess No Longer Supported in Microsoft Azure | Richard M. Hicks Consulting, Inc. So what is the best way to provide seamless remote connectivity to infrastructure hosted in azure? 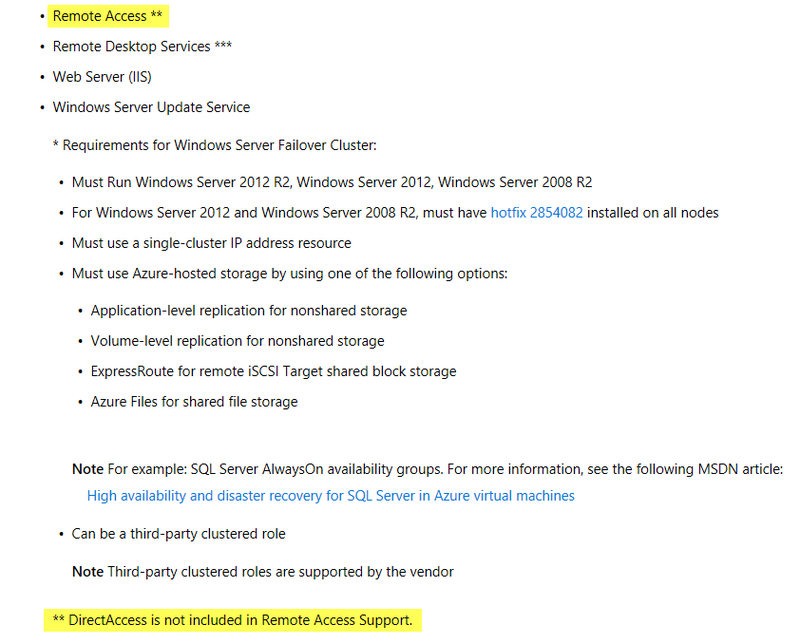 Does this mean that they prevent it from working or simply that they do not support it’s usage in Azure? No, it works just fine! They just don’t want to formally support it. If you need formal support, you’ll have to deploy in AWS. 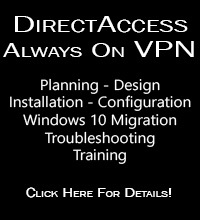 Is it true that Microsoft have ceased ongoing development of DirectAccess and will soon be ceasing support? Hi Richard, We have had Direct Access on Server 2012 working in Azure for 6 months by following your guidance, the problem we now have is that when the final DC / DNS server moved across, it suddenly all stopped working. The workaround was to move one of the DC’s back to its old location. I have tried recreating the Group Policies by running through the Remote Access Management Console GUI but it still seems to be looking at the old locations for DC / DNS servers. Any thoughts about where it might still be getting that out of date information from? We propose to move to ‘Always on VPN’ as a priority but that has a prerequisite of a Windows 10 rollout which we aren’t able to do yet, so any hints you have would be really helpful! With the final DC migrated we get the IPHTTPS tunnel coming up but not the IPSEC tunnel. Any insight you have would be appreciated! Can’t find any articles about moving / decommissioning DC’s without breaking Direct Access! Hi Jon. I’ve encountered a few of these scenarios recently so I’m working on a new article as we speak. 🙂 In the meantime, you will need to update the management servers list by running the Update-DaMgmtServer PowerShell command. If you are using multisite, then you will need to run the Set-DaEntryPointDC command. 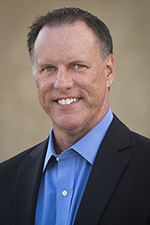 Contact me directly if you are still having trouble and I’ll provide more guidance. Thanks! I finally spotted the “Refresh Management Servers” option in the GUI which I assume does the same thing. Mended for most people apart from one Windows 10 client that seems to have everything set correctly but will not create EITHER tunnel. Any thoughts on troubleshooting that?